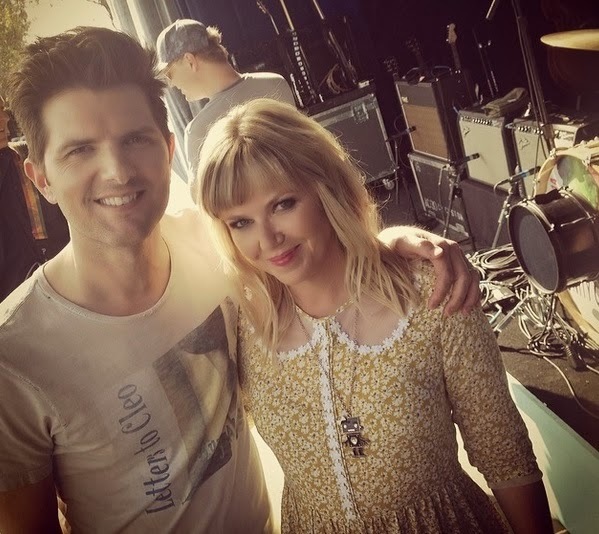 Yesterday, Kay Hanley of Letters to Cleo posted a bunch of pictures on Instagram from the set of Parks and Recreation. I had a chuckle from this since Adam Scott's character has been known to wear a Letters to Cleo shirt on the show every so often. Based on other pictures she posted, this episode will be the one featuring Jeff Tweedy of Wilco. Tweedy will be the frontman of a band called Land Ho! that Leslie and Andy are hoping to reunite for a concert in Pawnee. The rest of Land Ho! would seem to be John Dragonetti (Jack Drag, The Submarines) and Dave Gibbs (Gigolo Aunts). No word on what other Boston bands will be represented, but maybe Fuzzy or The Sterlings can open. Nice shoes I bought these shoes for my wife and I for running and other outdoor activities because I naturally run up on my forefoot and I hate wearing shoes with all the extra padding that only adds bulk. We have had them for several months now and I no longer get shin splints when I run and find that I like walking around barefoot (real barefoot) much more now. Go easy when you… Yogi Bear’s Jellystone Park Of Estes! I consider something really special in this site. Yogi Bear\'s Jellystone Park Camp - Resort in Branson, MI.